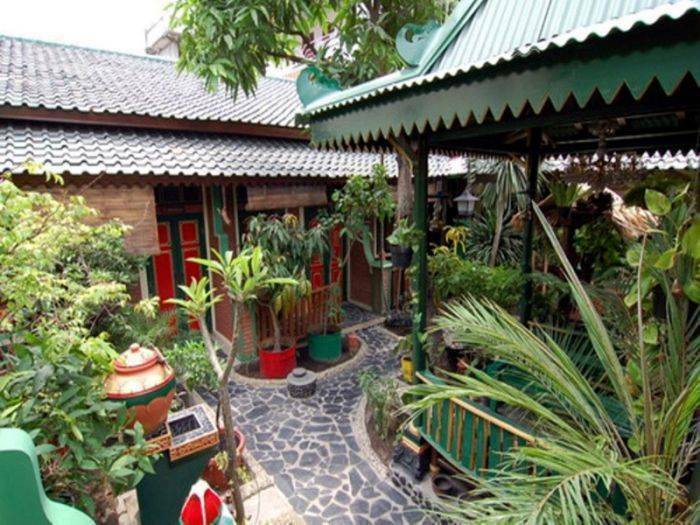 Unique hotel with formerly Javanese architecture with 9 rooms only. 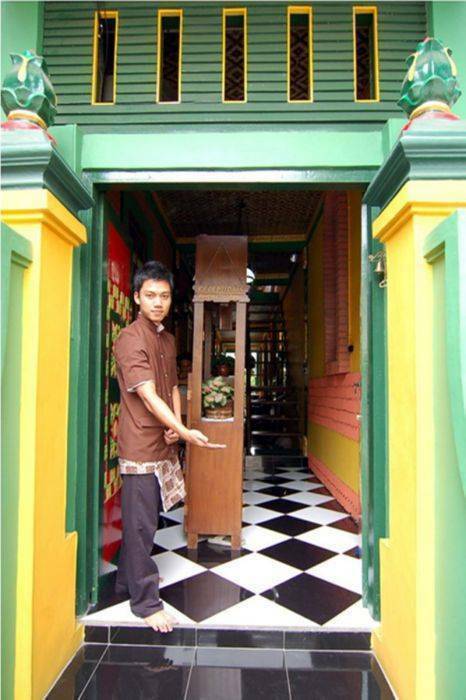 If you want to enjoy the real Yogya City atmosphere and quiet place, you can choose Kampoeng Djawa Hotel, which has only 9 unique rooms in Javanese style architecture of the past. 7 of which rooms has terrace overlooking the cool garden and fish ponds. With a limited number of rooms, your privacy will be more maintained. The located in the middle of town, close to the banks, supermarket, 24 hours minimarket, pharmacies, travel agents, money changer, and others. The nearest by tourist destinations are The Sultan Palace, princess bathing place called "Water Castle", Vredeburg Fort. This location is also famous as a tourist village. 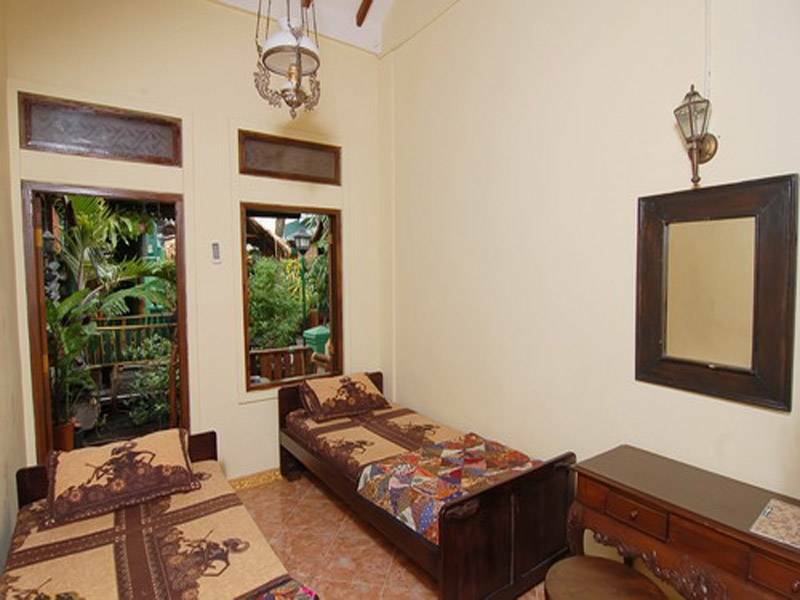 Java ethnic concept hotel, which offers a low price with good service and clean. The facilities available include are : Bathroom designed with natural stones, and equipped with hot and cool water, Air condition, Fan, TV, WIFI area. Another facility is the open space where you can make your own drinks, such as coffee, tea, and mineral water all day long available, breakfast varied, afternoon traditional tea pot & snacks. We sure you will feel like staying in your own home. 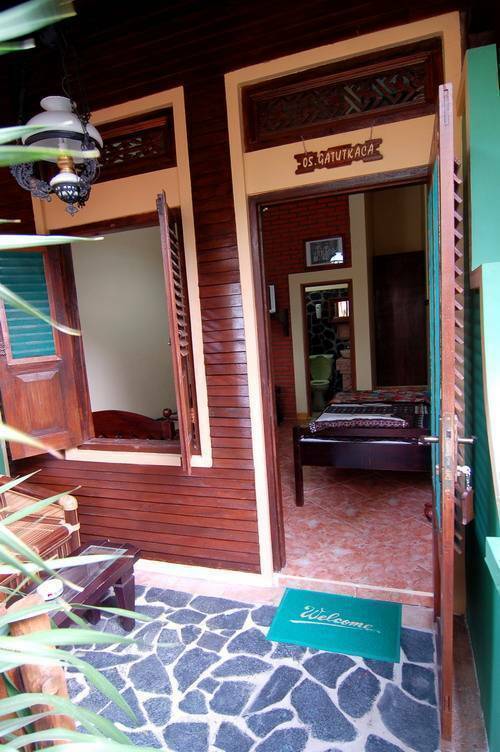 Location within 5 minutes from Malioboro shopping centers or Sultan Palace. 10-15 minutes to the center manufacture of clay handicraft or to Parangtritis beach. Cheap, Cool, Quiet, Comfortable, Clean and classical. The 6 [Six] rooms have open windows and some of these have a terrace overlooking to cool garden and fish ponds. 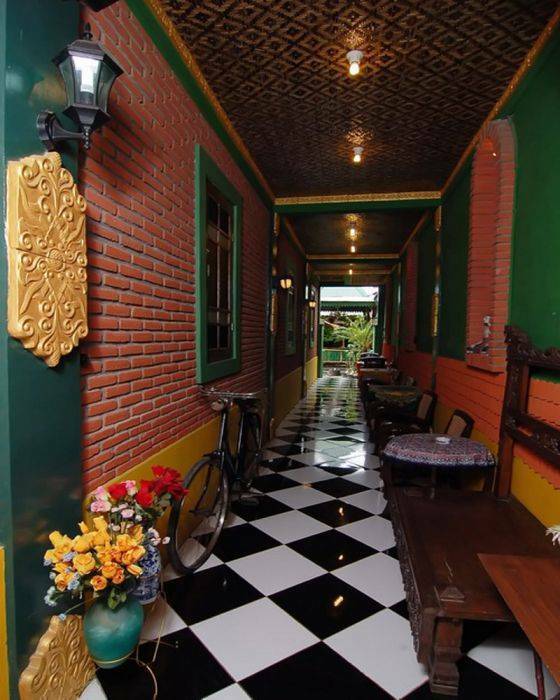 Kampoeng Djawa is an ethnic traditional design guesthouse. 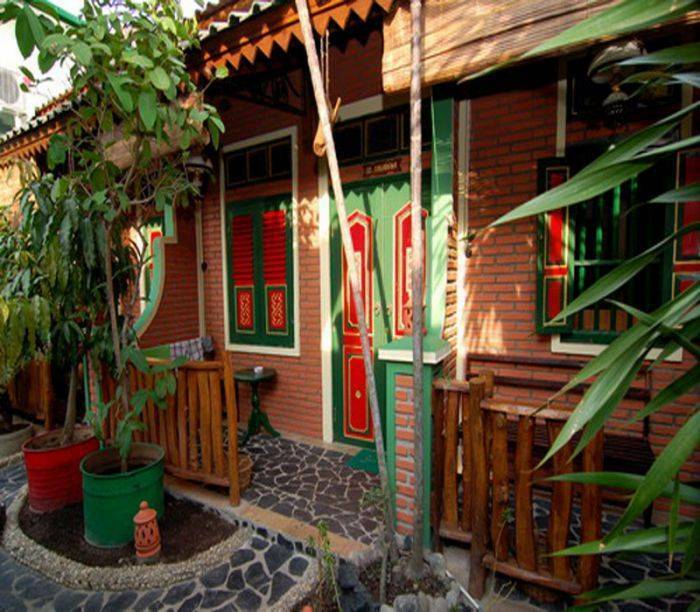 Bringing you the comfort and the warm of Yogya's village atmosphere. Located are in hotels center area, and this environment known as a tourist village. 6-7 km to Parangtritis beach. Fried rice and noodle java stall. Pice + IDR 20000 for the weekend. No cancellation charge if a booking is cancelled before 10 am - 10 days before arrival.Where cancellation is made outside of the above term, the guest will be charge for the first night. 5-6 km from International Airport Adisutjipto. 3 km from Railway station Tugu. You can use taxi from the airport, and use becak/tricycles from the railway station Tugu.